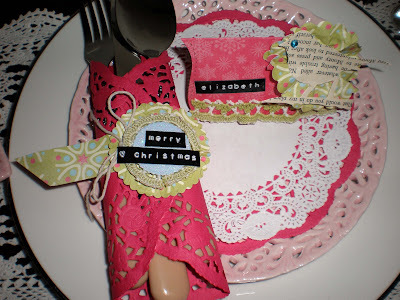 Lizzie from Embellees has created some gorgeous table settings for Christmas. I want to go to her house Christmas Day just to get my hands on her treasures!!! !